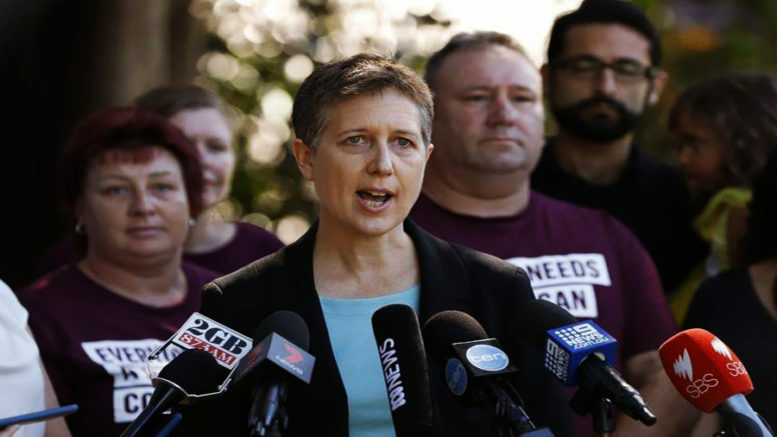 Unions are planning a series of big marches around Australia, and they are expected to be the largest turnout since those that occurred during the “Your Rights at Work” campaign, directed at John Howard’s WorkChoices law. “They know big business has too much power, and they know that when working people join together we are mighty and unbreakable,” she added. The marches will be held in 18 cities and towns across Australia in April and May, starting in Melbourne on April 17, with a delegates 10 a.m. mass meeting at the Melbourne Town Hall. Action is necessary, if the goal is to secure a better and fairer society. We are living at a time of a declining position for working Australians, plagued with a falling wage share of national income, insecurity of work, a jump in the cost of housing and cuts to the funding of government services. Campaigners believe that it is only by making a stand, winning overwhelming community support, and through this, mounting enough pressure on the government, that a change can be brought about. Malcolm Turnbull and his government face the prospect of an election next year and they are already vulnerable. In the face of a campaign on the scale of the Your Rights at Work, will face of the major public campaign led by unions, the prospect of defeat will be more certain. Bringing this about will not only involve big marches. During the Your Rights at Work campaign, they were underpinned by ongoing and multifaceted activity, working to build a solid union/community alliance. Local groups came came into existence, which worked at the local level, involving local communities, at the same time as they coordinated as part of a united movement. It involved providing backup support for disputes occurring in specific workplaces, where a law seen to be unjust played a big part. The method of the community assembly was used, and it proved to be extremely successful. Local activity and drawing community support around specific disputes played a big part in building confidence and a sense of strength. For the unions, it provided a conduit to reach a much bigger audience. It helped to generate a sense that something big is going on. A lot of activity is building once again. The union advertising campaign is certainly helping to bring this about. How far it goes though, depends on how involved the ranks are going to be. This in turn, depends on each concerned person playing a role, to ensure that the existing industrial laws are no more. Be the first to comment on "Unions are planning big marches to bring change to industrial relations law"